The killer feature of this phone is the price: Rs.28,999 for a phone matching hardware specs of the pricey phones, and topping them when it comes to build quality and software. But price isn't the only killer feature on this one. 1. Kit Kat: The latest version, 4.4, of Android. Yes, yes other phones will have it too. But knowing the take they take to modify their software to their needs, the biggies like Samsung, HTC, Sony et al will take 3-6 months to bring it to their flagship phones. Then to the non-flagship ones. Though Kit Kat is the first upgrade that can be ported on to phones with inferior specs. Will Samsung, HTC, Sony and the like do it? My guess is no. So I doubt older phones will get it. So who'll get it? 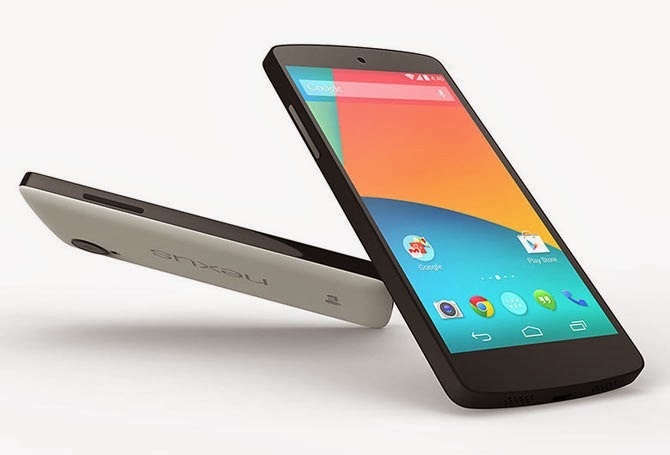 Nexus 4, also made by LG, will surely get it. In a day or two. That's the beauty of Nexus phones. They get it first. 2. It's a Nexus: Yes, that means a lot. That means that Nexus 4 already has Kit Kat. So when the next iteration, Lollipop or Lime Pie or lozenges, is launched, this will be the first to get it. It's also the official developer phone. It's easy to root and unroot the phone. Play around the software if you are geeky enough. If know some code, you can create your own phone. Well, you can do that on any phone. 3. OK Google: Move over Siri. She was just overhyped. Google Now is context-aware and also searches faster. But that's not new. What's new is that always-listening Google Now. That means even when the phone is in deep sleep, you can wake it up with your voice. You can even find your phone by saying, "OK Google Now, find my phone." That should make the phone ring. Ain't that cool?! 4. Battery Life: Nexus phones are reference phones. The Android software is made to fit the phone. They also have no bloatware or proprietary software stuffed by phone makers. For example, Samsung phones have Chat On, Samsung own video and photo Gallery, Samsung account, Hub, Samsung stores, Samsung this, Samsung that.... And your phone's processor gasps for breath managing all them. They also eat a lot of battery. Nexus phones are fat-free. They are pure Google phones, and the software is made for the hardware. Nexus 4 had a 2100 mAh battery and 5 has 2,300 mAh. 5. Sound, Camera, Action: The lastest iPhones had it. But most Android phones had both tiny speakers together, basically killing stereo and producing extremely tinny sound. Samsung successful S3-4 and Note 2-3 both cost a bomb but the inbuilt speakers sounded as bad as those on cheap phones. Same with Nexus 4. Nexus 5 plays around with it. Speakers are not as separated as HTC One, but are distinctly away from each other. The camera is superb. Nexus 4 was the first to have the 360 degree panorama. It's one up on that. And yes, action. 2.2GHz Snapdragon 800 processor on lean and mean software Kit Kat 4.4 can do wonders. And this makes it a wonderful combination.